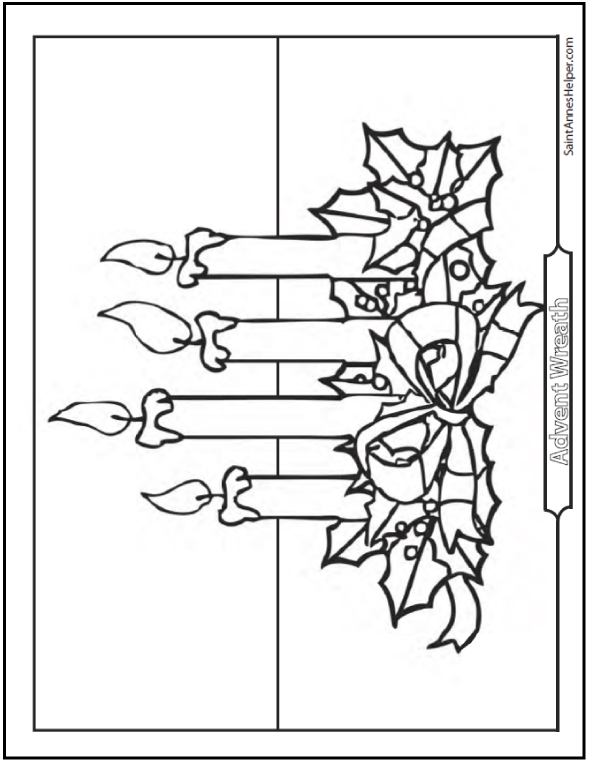 This Advent wreath coloring picture has four lit candles in a wreath of holly and berries tied with a ribbon. Color the candles purple and pink. The pink one is the second tallest because it is used on the Third Sunday of Advent. Print an Advent wreath coloring page at Saint Anne's Helper.